Starting any application from the terminal can ease your workflows a lot. I’ve gotten used to being able to open files from the shell, when I’m working on a project. 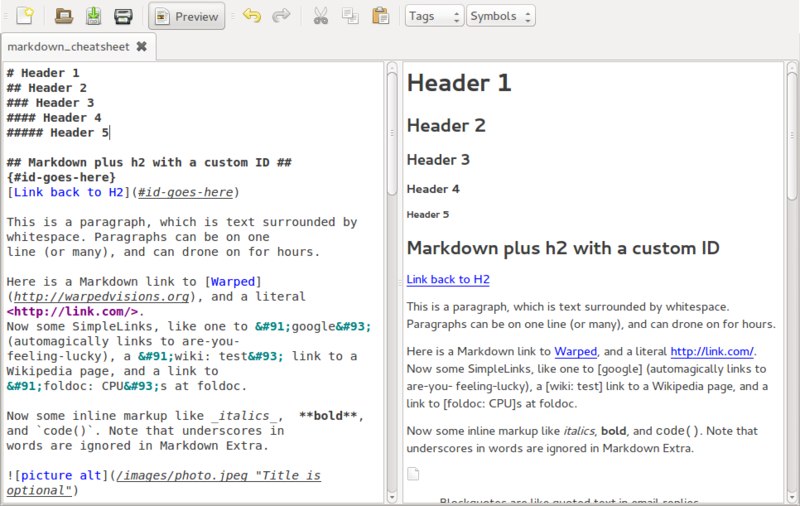 I navigate to the project folder and start editing, either markdown files for documentation or source code. When I first learned of MarkDown I was torn between having to write academical papers in software like Microsoft Word or Apple’s Pages. Both are surely functional Programs, even though I’d always preferred Open or Libre Office, for the sake of standards and an open world. In my studies as a Multimedia Designer in Denmark I even handed in some papers that were written in HTML and compiled to PDF. 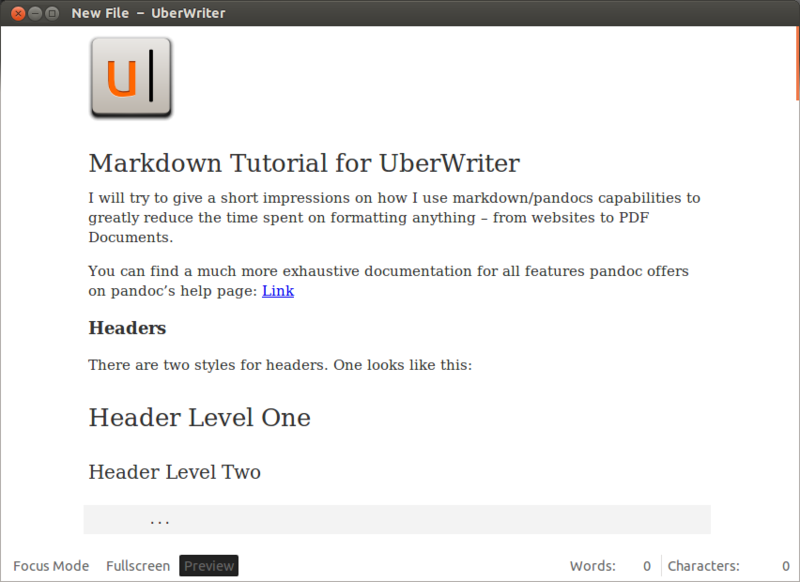 Yesterday I’ve installed Uberwriter, which is a MarkDown editor I quickly want to tell about. It’s a very nice looking application and something that is my replacement for Mou, which I’ve come to love on my Mac.